73-77 Chevy/GMC Blazer/Jimmy Full Size Proportion Valve at Carolina Classic Trucks, Inc.
Works on all 1973-1977 Chevy and GMC full size Blazers/Jimmys that have front disc brakes and drum rear brakes. Comes with correct failure circiut switch. 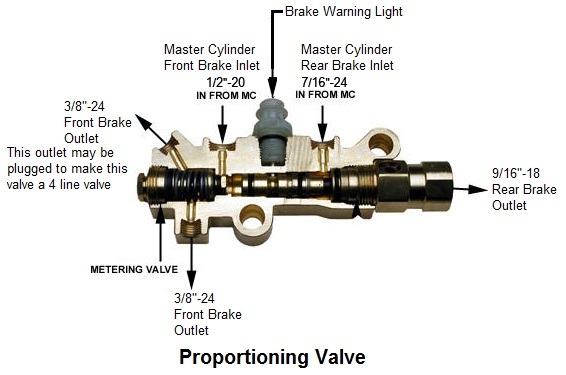 If you drive a Chevrolet or GMC full-size Blazer/Jimmy from model years 1973 - 1977 then this is the correct brake proportioning valve for your front disc and rear drum brakes. This part works on full-size Chevy and GM Blazers/Jimmys 2-wheel drive or a 4-wheel drive.